Things are going very well on my end! 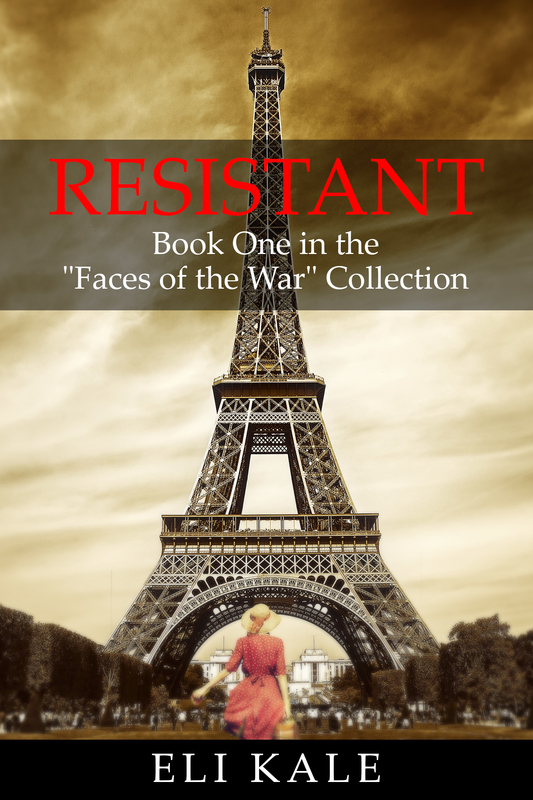 “Resistant” has been out in ebook and print format for a few weeks now, and continuing promotion for it is underway. If you haven’t picked up your copy yet, or haven’t at least checked it out, I urge you to do so. Spread the word about it…every little bit helps! I did want to be sure I informed you all that I will be absent from social media and email until early June, as I will be getting married this Friday and will be on my honeymoon following afterward. Please bear with me while I’m gone; if you would like to get a hold of me in the meantime, I will respond to you as soon as I return home. I certainly don’t want anyone thinking I am ignoring them! I look forward to working on my next project when I resume writing in June. I also look forward to sharing details about it with you as I go! I am pleased to say that after seven months of hard work, I have finally brought my debut project to the bookshelves of the public! “Resistant” is now in both ebook and print format, available at Amazon, Barnes & Noble, Kobo, WaveCloud, Google Play, and the Apple iBookstore. Go check it out when you have a chance! The support and encouragement from so many family, friends, and followers has been overwhelming, and I can’t even express just how grateful I am for that encouragement. It has helped me come this far, and I can only hope to keep moving forward from here. If there is one thing I’ve learned in my literary journey so far, it’s that building up and supporting others is a key to success. I’d like to give a little insight into what I am doing now that my first book has gone live. While I’ve been very busy keeping up my social media profiles and working behind the scenes to publish and promote my book, I’ve been working even harder to get ready for a particularly wonderful transition in my life right now. I will be getting married to my amazing and beautiful fiance, Sarah, later this month, and will be taking a month or so off from writing to focus on the wedding and honeymoon. Rest assured that I will resume work in late June on my next project; here’s where the information gets juicy! The title of my next project is “Unguarded” and will be Book Two of the “Faces of the War” Collection. At this point, my projected release date for it will be sometime shortly after the New Year. However, I intend on releasing an ebook before then. It is the first volume in a planned project of short story collections. My goal is to write short stories on the off-days that I don’t work on my larger projects (most notably the Faces of the War books) and release them in between the larger releases. It helps me to keep writing, and it gives you more material to read, and at a lower cost than my larger projects. In addition to the Faces of the War collection and the short story collection, I have other ideas on my list to develop into projects. I am very excited for what is in store for me. Working on these types of projects brings me great satisfaction. I look forward to seeing my following increase and my projects rise in number. I write for me, yes…but I also write for you, my audience. Without you, I would not be able to write. And so I thank you. I would first like to say thank you for all the support and encouragement throughout the process of writing and releasing my debut book. It truly means a lot to me! I have received word that the print version of “Resistant” should be released sometime this week through Amazon. I will include a link on the RESISTANT tab on my home page, as well as post a blog announcing it, when it does release. I hope it gets off to a great start! I have given some thought to different ways to promote my work, and one method in particular came to mind…and for this, I’ll need the help of others. It’s called cross-promotion; I’m sure you’ve heard of it. The concept goes like this: I have a book that I’d like to promote. You have a book you’d like to promote. Both of these books are our own works, by the way. On an individual basis, we’d work out an agreement to where we’d promote each other’s work. It’s free advertising. All it takes is a little work on our part: a Tweet here and there, a shout-out in a blog post, and anything else that comes to mind. I would love to promote other authors’ books, especially indie authors, because I know how important the work is to them and how much they want to get word of it out to the public. So if you have a book you’d like to promote–it doesn’t even have to be a recently released work–shoot me an email and we can talk about doing some cross-promotion! I look forward to hearing from you! I thought I’d take a moment to inform you of a few things. First, the print version of my debut book, “Resistant,” should be hitting the Amazon shelves soon. Second, I have just created a feedback form on my blog (the tab titled “Feedback & Mailing List) that allows anyone and everyone to leave me feedback, about anything! I am also designating it as the location (aside from the form on Facebook) where readers can sign up for my Mailing List. After I return from my honeymoon in mid-June, I will send out an email update through the Mailing List at least once every 2 weeks. That is the plan as of right now. Lastly, I can’t believe it has been just about a week since my book went live! You can now find it on Amazon, Barnes & Noble, Kobo, the Apple iBookstore, and at WaveCloud. The ebook is priced at $4.99. When the print version is released, you will find it on Amazon, priced at $7.99. It has been an exciting ride thus far, and I’m looking forward to seeing where it takes me!